22nd November was a lovely day: I started collaborating with A-Speakers, Amazon published my book, and as a business networker I made a perfect-match introduction. It was also my birthday. A birthday is not such good news at this stage of life: if you’re a woman, you camouflage your age at all cost because the prevailing opinion is that being in your fifties is well past death. But in my case, it’s only in my fifties that things started to properly come together. I was a professional opera singer, I loved the singing and the music, but never felt comfortable in that world. When the recession came and jobs disappeared, I retrained in marketing and started working for a cybersecurity company. It involves lots of business networking. I do so much of it with great results that a national UK newspaper interviewed me as one of the networking experts. In October, I held my first two workshops at a prestigious UK business school. Then I spent 12 days writing a book on how to network. 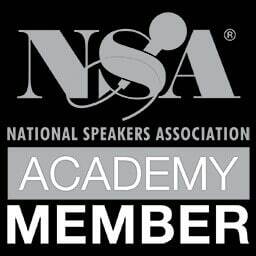 In July I entered a professional speaking competition on just a few day’s notice – and won it. 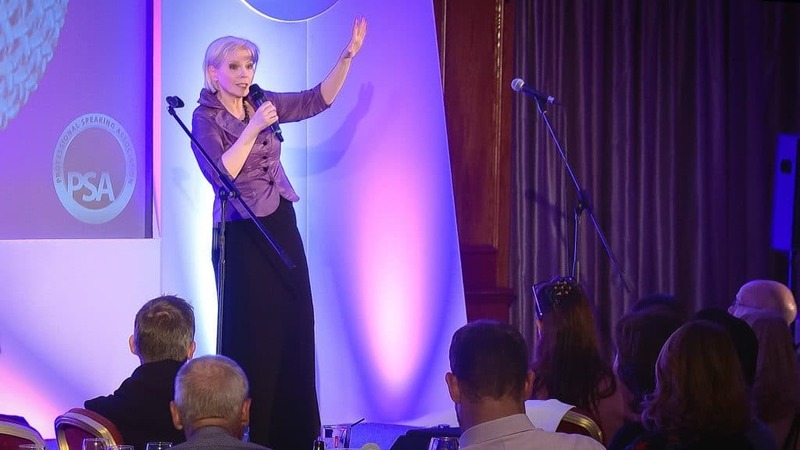 Then after a dinner during a professional speaker convention I took part in the open mic, improvised and discovered my inner stand-up comedian (you can see the clip on YouTube). The response from the audience was overwhelmingly wonderful. And here it is: it all came together in just four months, in my fifties. I learned the hard way all the things I’m famous for. I had to go through fundamental change and face enormous obstacles, not taking anyone’s word for it. I learned to come back through the window when I was thrown out of the door. In the process, I discovered what works and what’s an illusion – and I want to share it with you. I’m on a mission to empower. I think we take far too many things for granted and we severely underestimate what we CAN do about it. You don’t have to agree to be what others think you should be. You don’t have to agree to be trapped in your background. It’s your life. It really is yours and no one else’s. And you certainly don’t have to accept that bizarre idea that youth is what counts in life more than anything else. My other mission is to make bellies wobble. After seven years in cyber, I can safely say that it’s not the Internet of Things that is the answer. It’s the belly laugh. With all kinds of disasters constantly being reported, worry, fear and anger have overtaken our lives. We must laugh more. Life is so full of unexpected nonsense that if you see it from a different angle, you’ll laugh. With the help of many diverse careers, I gained a very wide perspective and I’m well equipped to help you see it. A few weeks ago, I spoke to a global security association. The audience were counter-terrorism experts. My slot was at the very end, just before drinks. I was touched to hear so many people thank me afterwards. They laughed with me, it was a release, a relief, a break from it all. I felt like Santa with a great bag of gifts and happy faces all around. Loved that. Laughing together has a unifying, humane, healing power. It may be that bringing a comedian to your corporate events is just the right thing. Brilliant book, every one should read , the art of networking and good communication made clear.! Public speaking at its finest with a trill!